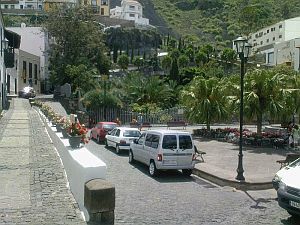 Garachico is one of Tenerife's most picturesque places, very unspoilt, with cobbled streets and traditional Canarian houses. It wasn't always this way. Originally, the town was a busy port, exporting such local produce as Malmsey wine. 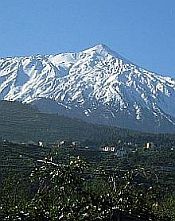 This was brought to an abrupt halt in 1706, when there was a major volcanic eruption, lasting over a week. The town's livelihood was all but destroyed. But, Garachico picked itself up and dusted itself down and, nowadays, is a beautiful spot, immaculately preserved - so much so, it has been awarded the coveted Gold Medal of Fine Arts by the Spanish Government. 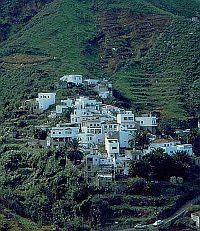 Situated up on the north Tenerife coast, the town is quite tranquil (although day trippers usually descend on it around lunchtime). Don't miss the main plaza, La Libertad. It could be considered the most beautiful on Tenerife. You have the former Convent of San Francisco, flanked by palm trees on one side, the picturesque Hotel Quinta Roja on another and the clock tower of the church of Santa Ana on yet another. At the Church of Santa Ana you can see the corn paste figure of Christ made by the Tarasco Indians in the 16th century, and the 17th century marble baptismal font. 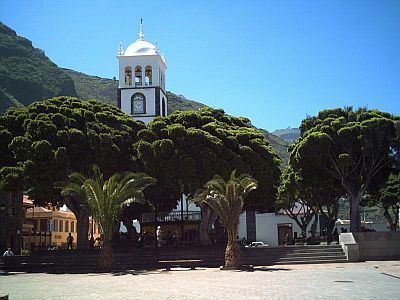 Next to the church you'll find the garden of Puerta Tierra. This contains the "toll gate", all that remains of the original harbour, before the eruption. Along the promenade, there's a tiny museum dedicated to the 1706 eruption and, further on, the tiny Hermitage of San Roque. Further on, there's the former Convent of San Sebastián with its amazing façade. The Museo de Carpintería y Vinoteca is an exhibition of craftsmen’s tools, but also features a wine shop and bar. Free entry. Castillo San Miguel is a castle with exhibits tracing Garachico’s history. You can go up on the battlements, where there are great views. Entrance fee: €0.50. Convento San Francisco is the town's museum, with all manner of exhibits. Entrance fee: €0.60. The sea water rock pools are the biggest attraction of the town. They look their best when the sun is shining, when you can wander amongst them, marvelling at the various tropical fish darting around in the water. You won't be able to access them in autumn and spring, however, due to high tides. For a leisurely lunch or dinner, try Arístides, opposite Plaza de La Libertad. Here, you'll find a delicious selection of sea food, includingchopitos (crispy fried baby squid) and mussels. Every August, on the 16th, there is the Festival of San Roque. If you're lucky enough to be there at the time, you'll see oxen pulling carts filled with locals in traditional dress through the streets, handing out free food and wine!